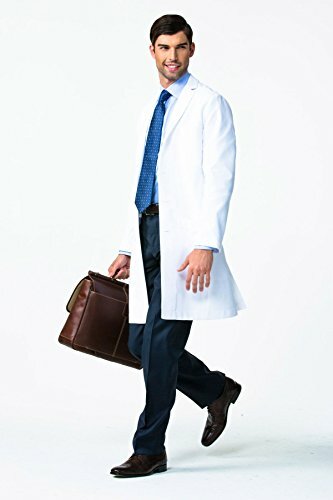 A fit that's more like a tailored suit and less like your current flimsy lab coat. 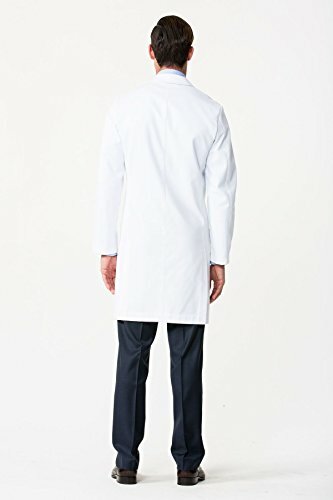 Featuring an impeccable notched lapel and welt pocket ensemble that ensures a sharp, polished appearance in front of patients and colleagues. 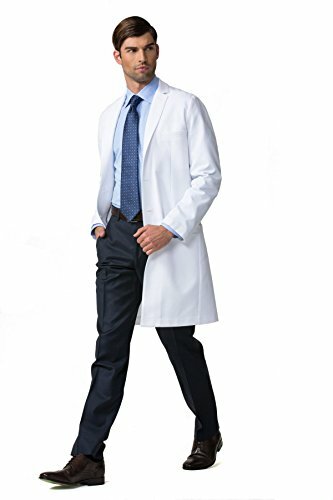 ✔ This is a slim-fit men's lab coat, modern in appearance and with European styling influence. The perfect blend of slimming design features with ergonomic shaping make the E. Wilson one sharp men's lab coat. 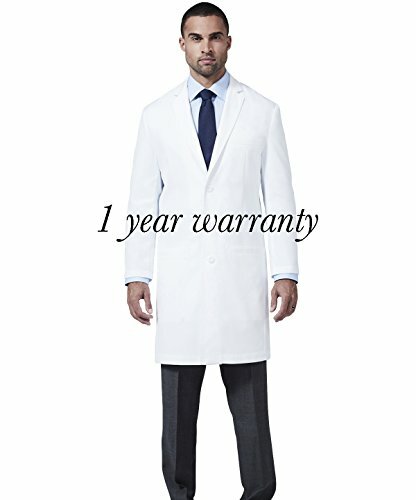 ✔ Typical lab coats use excess fabric in the waist and torso, creating a pendulous appearance. 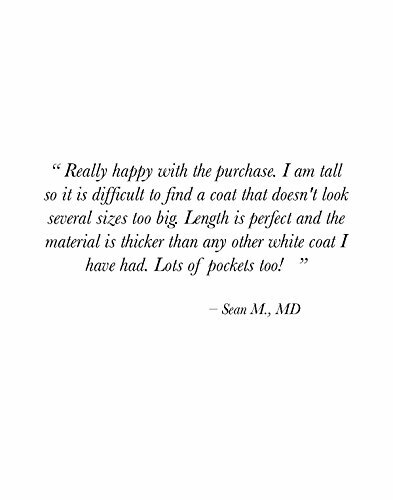 Our slim-fit lab coat solves that problem without being tight. ✔ The E. Wilson men's lab coat features four pockets - 2 iPad pockets, a concealed pocket for your PDA or Smartphone, and a chest pocket. ✔ Featuring M3 technology on the fabric interior to keep you cool, dry and comfortable and a cutting-edge finish on the fabric exterior to repel fluid, soil, and stains.